• Size : 16 x 16" inch, 24 x 24" Inch and any customize size as per requirement. • Utilization : Home, Office & Hotel Use. We are the dynamic, business-oriented organization, ranking among the utmost entities in providing Blue Lapis Lazuli Kitchen Wash Basin.This sink bowl is well design by cutting edge tools as per the latest trends in the market. 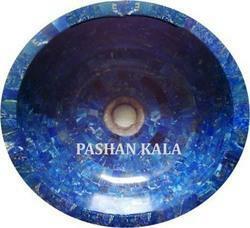 We are giving this sink bowl to customers in a given time frame with nominal rates. 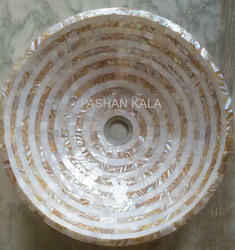 For the people who want to design their interior unique from others, we are providing the fine quality of Tiger Eye Wash Basin that is processed under the guidance of our expert supervisors. These products have smooth texture but they are not slippery. These products have various natural shades that bring natural feeling to our clients. With the large distribution network, we ensure the on time delivery of the products. We assure the superior quality of products. We are the dynamic, business-oriented organization, ranking among the utmost entities in providing Mother of Pearl Sink Bowl.This sink bowl is well design by cutting edge tools as per the latest trends in the market. We are giving this sink bowl to customers in a given time frame with nominal rates. 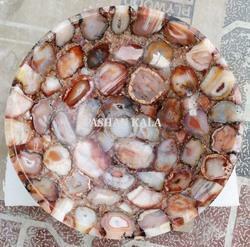 Looking for Semi Precious and Gemstone Wash Basin ?